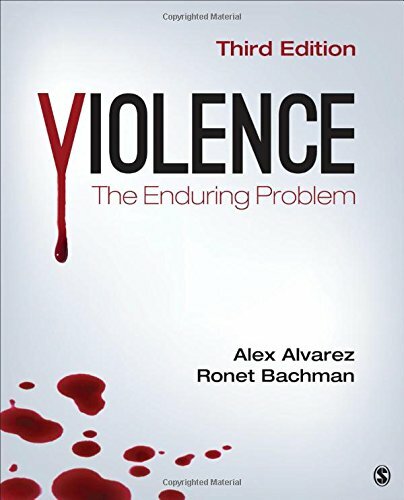 The Third Edition of Violence: The Enduring Problem offers an interdisciplinary and reader-friendly exploration of the patterns and correlations of individual and collective violent acts using the most contemporary research, theories, and cases.Responding tothe fear of pervasive violence in the world, authors Alex Alvarez and Ronet Bachman address the various legislative, social, and political efforts to curb violent behavior. They expertly incorporate a wide range of the most current cases to help readers interpret the nature and dynamics of a variety of different, yet connected, forms of violence. While most texts of this type simply cover individual acts of violence, this book offers readers a broader perspective, covering more collective violence activities such as terrorism, mob violence, and genocide.